The long-simmering conflict between the tech world and federal law enforcement has reached a point of crisis. On Tuesday, a district-court judge ruled that Apple must help the FBI unlock the iPhone of San Bernardino shooter Syed Farook. Hours later, Apple CEO Tim Cook vowed that the company would oppose the order, claiming that compliance would undermine the very liberties the FBI is meant to protect. FBI code-breakers are in a bind: Farook’s iPhone has a security setting that automatically erases all information on the device if a user incorrectly enters the passcode a certain number of times. Thus, the agency wants Apple to build a new operating system that bypasses the security tool. Disabling the security of a single iPhone may seem like a small compromise to make to a terrorism investigation. But Apple claims that once the security-disabling code is created — once there is “back door” through which one can penetrate an iPhone’s encryption — there is no way to ensure that code will not be applied more widely. Although the conflict between Silicon Valley and federal law enforcement is typically framed as one between competing values of privacy and security, many tech companies claim that such “back doors” pose their own security threat. 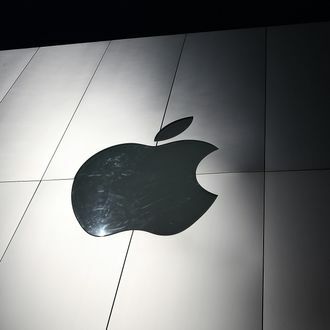 According to Apple, the creation of a “master key” wouldn’t just increase the risk of unwarranted surveillance by the U.S. government, but would also aid hackers from Russia, China, and Iran in their attempts to access highly sensitive information. For now the war between America’s tech industry and its security apparatus will rage on in both courtrooms and computer labs. USA Today notes that tech companies are already expanding access to “unbreakable encryption” — encryption so strong “even the companies can’t break it.” Forensics expert Jonathan Zdziarski tells NPR that federal investigators should eventually be able to hack Farook’s phone, with or without Apple’s cooperation.